Random Anny .Com: Guess who's not getting an Eames Rocker? Guess who's not getting an Eames Rocker? Someone posted an Eames rocker for $50(!!!) on craigslist. I was looking for matching Ikea chairs for the basement but had to respond to that ad first! They asked if I would pay $65 and while annoyed, I said sure. My car has been in the shop since last Monday (we haven't driven together in 10 days but who's counting?) waiting for a part. If the snow ever lets it arrive that's going to be a $1200 repair. Thank goodness I have eBay money to cover it! The rocker is in a very hilly area I circumvent in summer - let alone this snowy mess we've been calling February. I drive my husband's car locally AND if its unavoidable but an Eames rocker is not an emergency. 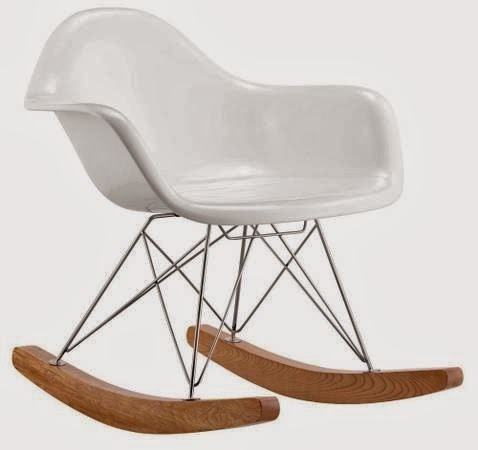 Also - have you looked at Eames rockers? I'm not sure I could easily fit it in a sedan without damaging the car. My car and I have picked up bertoias and a faux-cerlona but its been tricky. Not something I want to do to someone else's car. There will be other rockers in my life. So sad! It is a beautiful rocker.